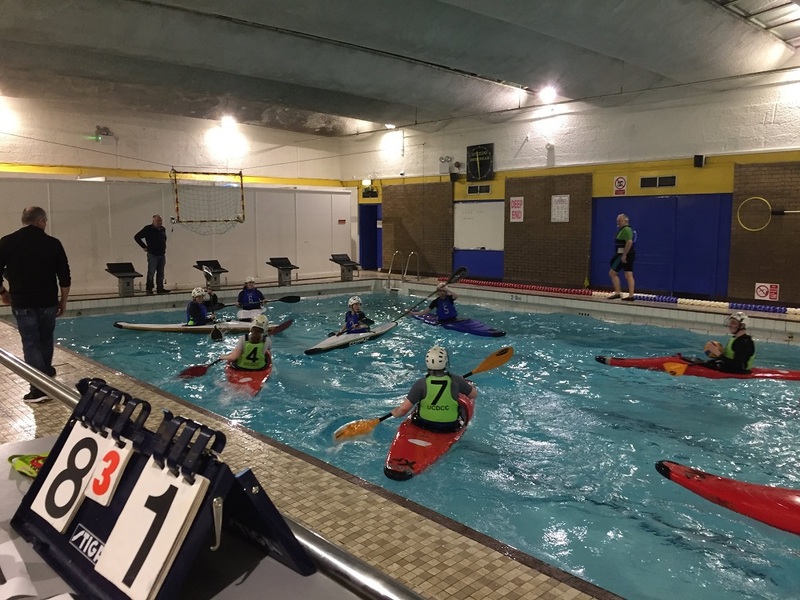 The Dublin Canoe Polo League (DCPL) is an indoor pool league that runs between Autumn and Spring each year. The league has 4 divisions, each with 7 teams. Teams play each other three times during the league. Since the pool is smaller than the standard length, the format is played as 4-a-side instead of 5, and games are played as 7 mins per half. The league is very competitive, with a varying level of ability throughout from most players in the top division will have experience playing internationally, through to players in the bottom division that are learning the basics of boat and ball control in the safety of a heated swimming pool. The indoor league is played weekly on Saturday evenings between 6.30pm – 10.30pm at Tallaght Sports Complex. During the Summer season an outdoor league is played outdoors on the royal canal on a Tuesday evening at Royal Canal Kayak Club in Ashtown. There is general a good buzz during the games and the area is open to public viewing. Check out details on their facebook page. Note days and venue may change from year to year.